This is a review for the HoMedics SS-2000G/F-AMZ Sound Spa Relaxation Machine , one of the top selling white noise machines on Amazon. 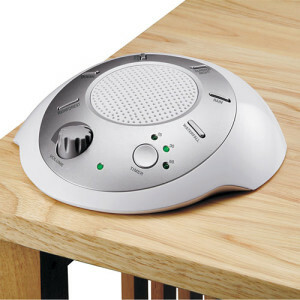 The Sound Spa is a solid sound machine at a great price. It is very effective at blocking unwanted noise. The machine doesn’t have many additional features that come with higher end machines. It also may feel cheap or touch, in that it isn’t made with the highest quality materials. This Relaxation Machine is very easy to use, with an intuitive interface. The machine has just six sounds, and it’s easy to switch between them. Volume can be easily adjusted as well. The Sound Spa is considered the machine with the best value on the market, with a solid product priced at around $20. Some consumers have noted reliability issues, and there is no warranty on the product, but generally most users are very satisfied for the price paid. The sound selection is decent, with six sounds including ocean, summer night, rain, thunder, white noise and brook. The sound quality and volume is good, however the tracks are relatively short and on loops, which can be heard if one listens closely. The machine comes with few features aside from the core sound machine features. It has an auto on/off timer and can be powered by either battery or adapter. The design for this machine is not particularly great, but generally well received by consumers. The materials making up the machine are flimsy and lower quality, but the machine is compact, making it easy to use at home or for travel. The display light is minimal, and will not interfere with a successful night’s rest.